While it might seem like a short time until Summer is over, there’s still lots of time left to get outside and adventure! And you can do that right in Rockford! 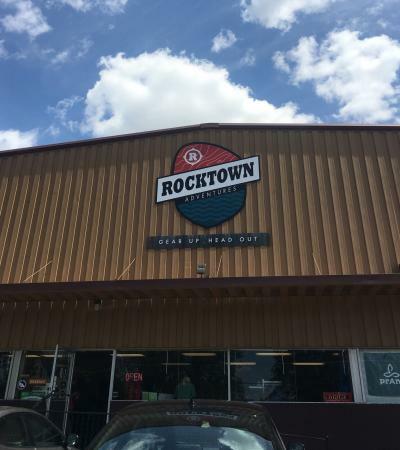 Head to Rocktown Adventures and they will seriously hook you up! If you’re not familiar with Rocktown Adventures, they&apos;re located at 313 N. Madison St. 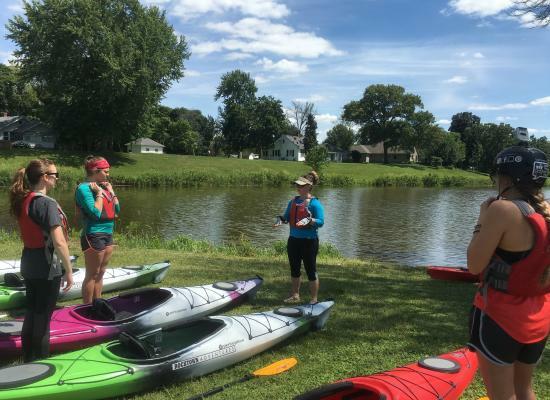 They specialize in kayaking, paddle boarding, private lessons, group lessons, and even summer youth camps! Some of the Go Rockford staff met up at Rocktown where we then drove to Martin Park to have a group kayak lesson on the Rock River. It was so much fun and it was peaceful being out on the water. 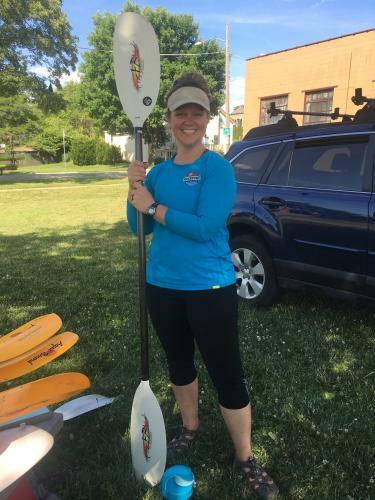 If you’ve never been kayaking, there is seriously no need to worry, the staff is so helpful and clear when it comes to training. This was Jamie and she was the best! Jamie taught us the proper way of getting into the kayak and before heading out explained all that we needed to do and know for a successful kayak trip. She made all of feel completely comfortable before heading out on our kayak adventure. 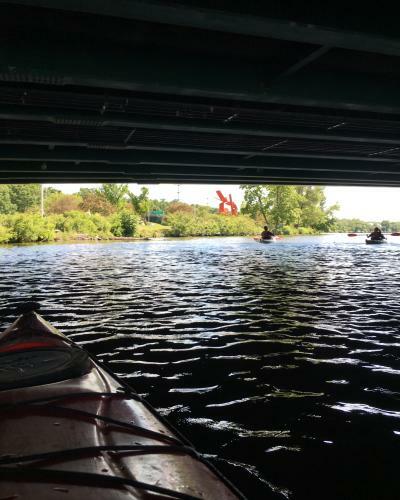 Once we had our life jackets on and we all were in our kayaks we ventured out into the Rock River! Jamie led us and we followed along for a fun ride. watching me struggle, but Jamie came to the rescue and directed me in navigation! I quickly got the hang of it and had no trouble afterwards! I won’t lie, there were a couple of times I hit other kayaks with mine, but it just made the adventure more fun! 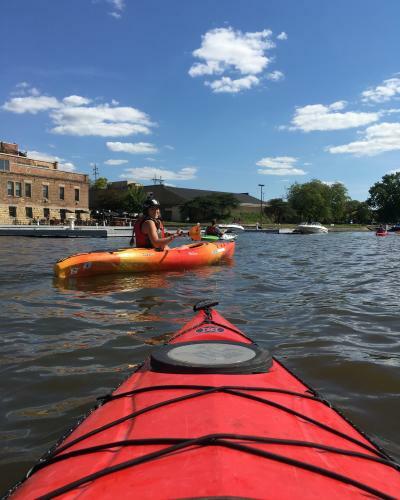 On our ride down the Rock River we passed by some beautiful sceneries, iconic Rockford attractions, like the Riverfront Museum Park, the Nicholas Conservatory and even some friendly boaters enjoying their time on the Rock River. At first It was actually kind of scary to have the boats pass by us as they were coming fast, but it actually wasn’t bad! They would pass by and wave hello to us. It was actually kind of fun because after they would pass it created a wave that gently rocked our kayak. 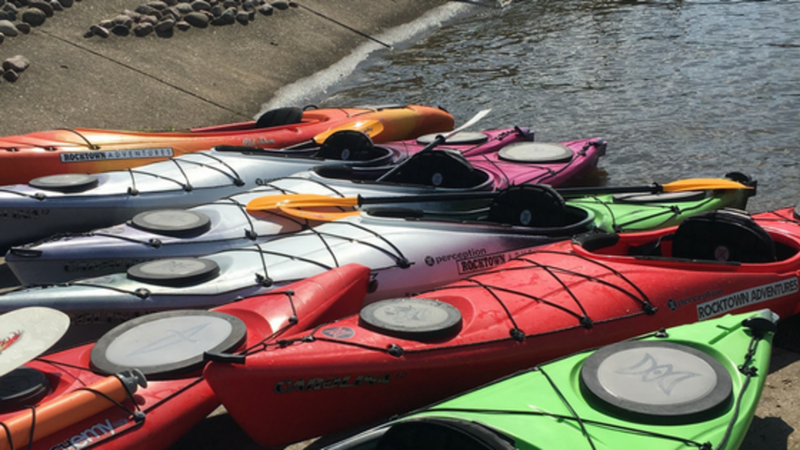 We ended our two-hour kayak ride at Prairie Street Brewhouse and I definitely think I could have gone another hour or two because it was such a beautiful day and it was just so calming and peaceful to be out, not to mention I felt like my arms got a good workout. 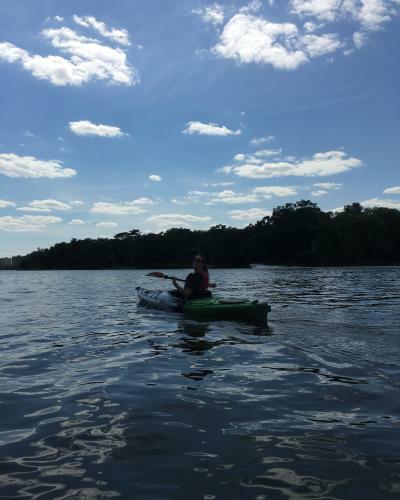 I would completely recommend a kayak trip with Rocktown Adventures before Summer ends! 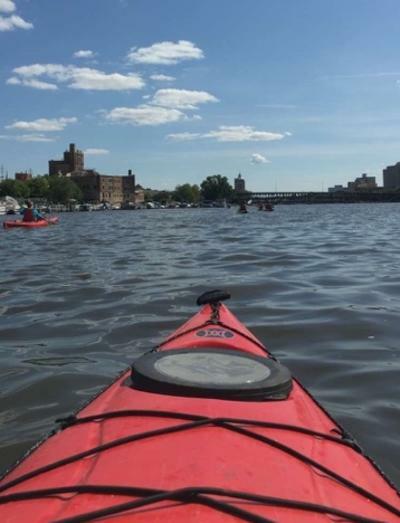 It’s a unique way to experience the Rock River!